I will multiply you, and not divide you, says the LORD. For I Am the GOD of increase, not decrease. 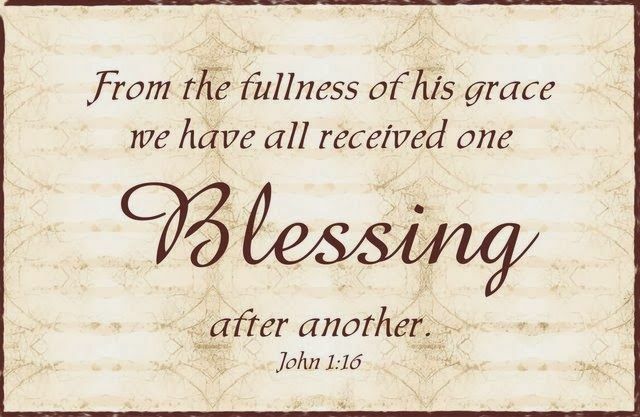 I will fill every place and every space in you and around you with My power and presence and give you blessings upon blessings upon blessings that you cannot contain. You will break out on the left and right. You will know expansion. You will have a greater depth. You will see as I take the scales off your eyes and you will know that there is no limitations in Me. I will give you a NEW VISION so that you can see the vastness that is before you. The small corner of your world is not the vision that I have for you. I Am not finished with you yet, and you will be built, says the LORD. You will not be confined or obscure, says the LORD. Come out of the dark closet and shine forth in My kingdom! I have made you as a city that is set upon a hill that cannot be hid. Let the light of My countenance radiate upon your face and the brightness of MY glory be seen on you. GIVE ME THE GLORY, says the LORD. FOR I AM THE GOD OF GLORY and I will clothe you with MY GLORY and add to you My unspeakable gifts and bless you to be a blessing, multiply you and expand you to fulfill MY PURPOSE and expand My kingdom on earth through you, and there will be an increase of MY GOVERNMENT as you embrace My higher thoughts, see through My eyes and receive the increase that I have commanded for you, says the LORD. HALLELUJAH !!!!! PRAISE YOU LORD OF HOST. I EXALT THEE ON HIGH !!!!!!!!!! EVER, WORTHY ARE YOU TO BE PRAISED !!!!!!!!!!!!!!!! YOU ARE SO AWESOME.